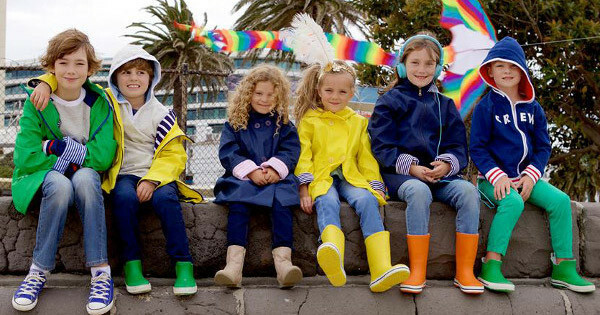 Grey skies are no reason to stay indoors with the fabulous range of rainwear from Australian brand French Soda. Let your kids make a splash this winter! French Soda are a Melbourne-based label, and we sure know a few things about rain down here in Melbourne. So it is no wonder that they have created wonderfully waterproof gear, but the real surprise is just how gorgeous functional clothing can be. The bright colours of French Soda look striking against the grey backdrop of a rainy day. 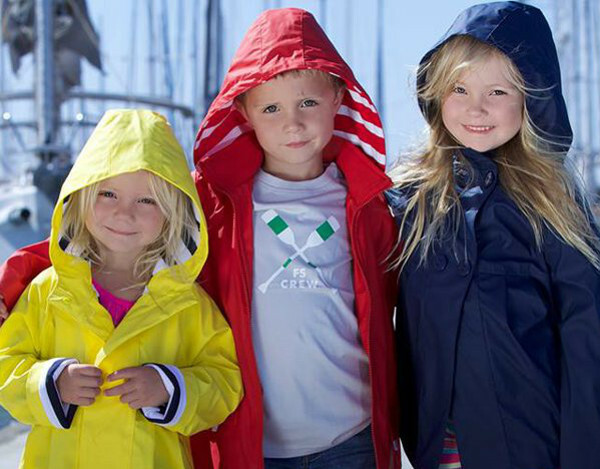 The raincoats come in four colours and two styles. My favourite are the Matilda and Scarlet, for girls. They are a darling design with subtle pleating and a double breasted, button-up front. Boys get two designs all their own, and there’s a unisex option too that’s just the thing for passing on to siblings of either gender. 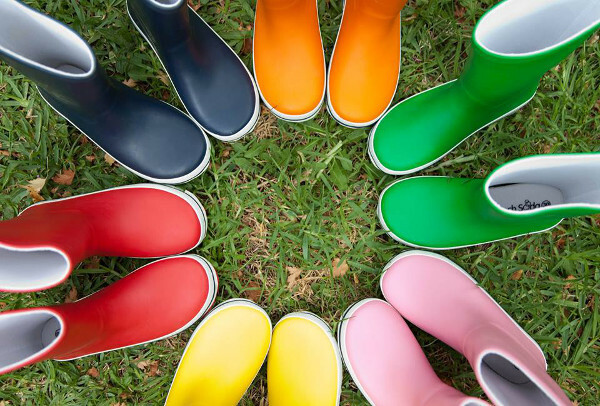 The selection of gumboots have polar fleece lining to keep tiny toes toasty. The tall gumboots are perfect for jumping in puddles, while the shorter boot lends a trendy look to winter wear. You can get your hands on some fabulous French Soda gear at their website. 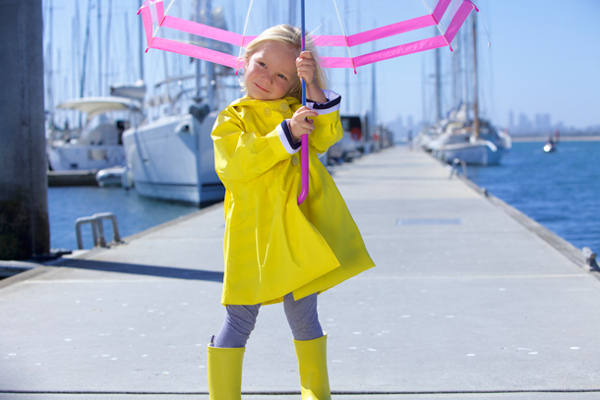 They have set prices for all their clothing, with raincoats at $64.95, gumboots going for $39.95, and classy clear umbrellas at $22.95, plus postage. They deliver Australia-wide and overseas.